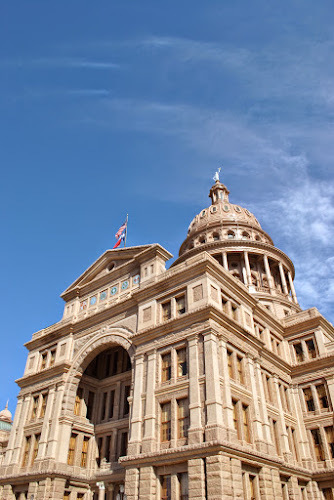 So if you follow me on Facebook, Twitter or Instagram, you may already know that I am currently in Austin, Texas, at this year's QuiltCon. 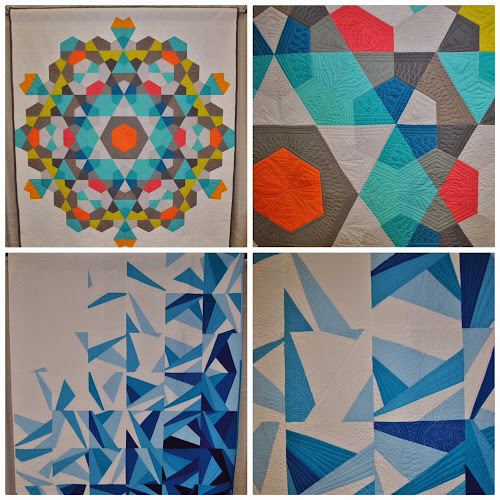 This is a quilt exhibition created by and organised by the Modern Quilt Guild of America, and as I am obsessed with modern quilts I thought this would perfect for me! We, that is me and Justin, decided to make a little holiday of our time here, so we flew into Houston on Tuesday - a very long day - got some sleep, before driving down to Austin. While the roads here are HUGE, they are mostly easy to navigate (my job) - it's the cities I tend to get lost in! ...I soon left Justin to wander the streets, got my pass and headed in. 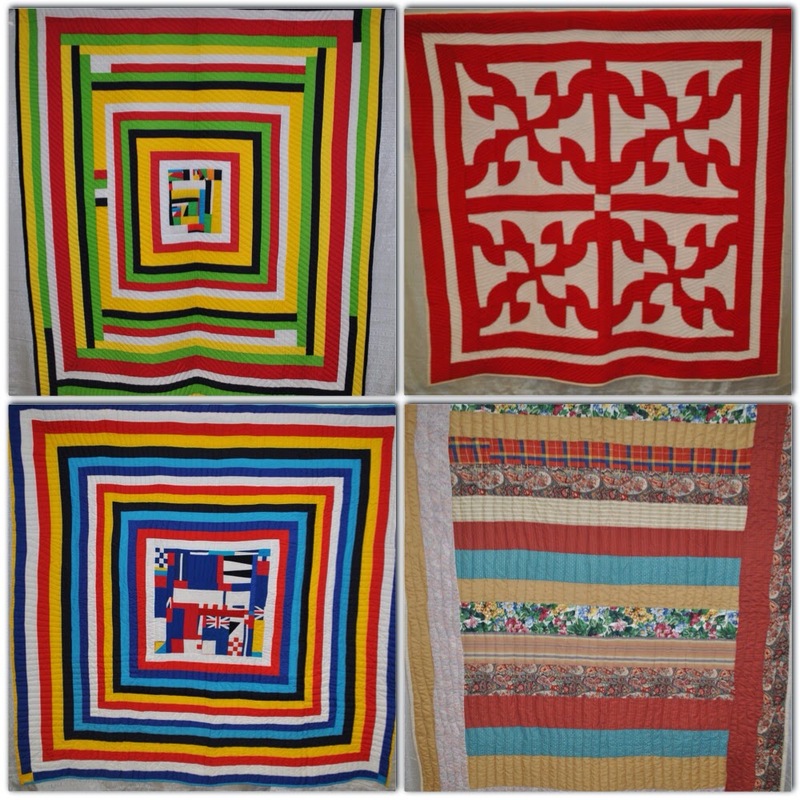 There were no crowds, no hustle and bustle, that first morning I was able to quietly wander through the quilt hangings, taking in their splendour, snap as many pics as I liked, and have a totally enjoyable experience! The quilts on show are truly beautiful. 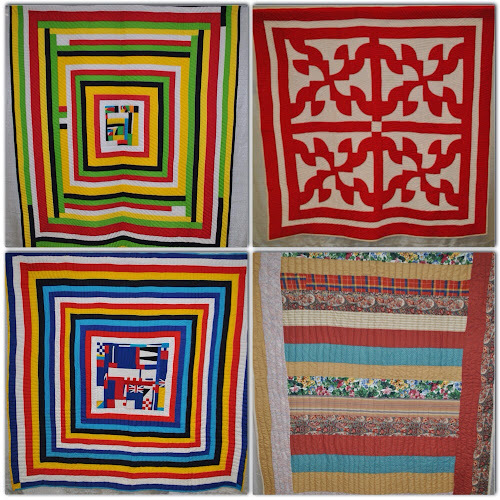 The colours are bright and cheery, the blocks simple but fresh, and the quilting... Well, I'll let the photos talk for themselves. 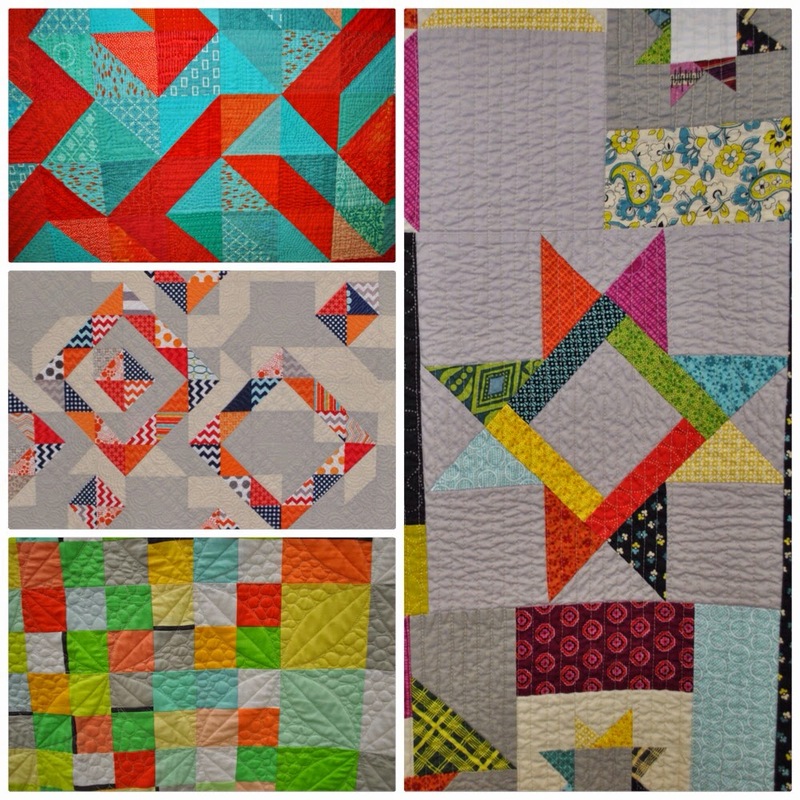 I've been reading about many of these quilts in Love Patchwork & Quilting and Quilt Now mags over the last year, and it's so nice to see them in person! I am now so excited to get home and get down to some serious free motion quilting! And as for the shopping... There may not be as many stands as the NEC or, as I'm told QuiltMarket, but to be able to get up to the fabrics, lay a few out to match and browse the notions to my hearts content was bliss. Obviously I've spent far too much and bought way too much fabric than I need, but hey, you only live once right? I was also lucky to see QuiltCon's keynote lecture by the ladies of Gee's Bend, a quilting collective who's innovative design compositions and geometric simplicity have been a keystone to the development of the modern quilt movement. 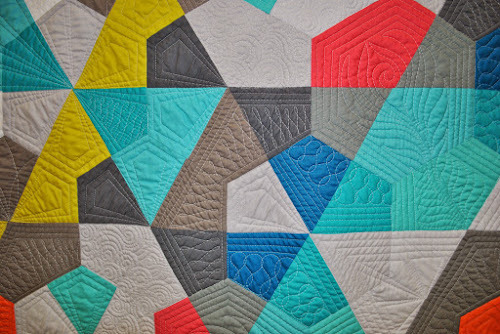 Similar to traditional quilters, their ancestors began quilting for necessity, passed their skills down to their kin who further developed their skills to create the works of art being made today. 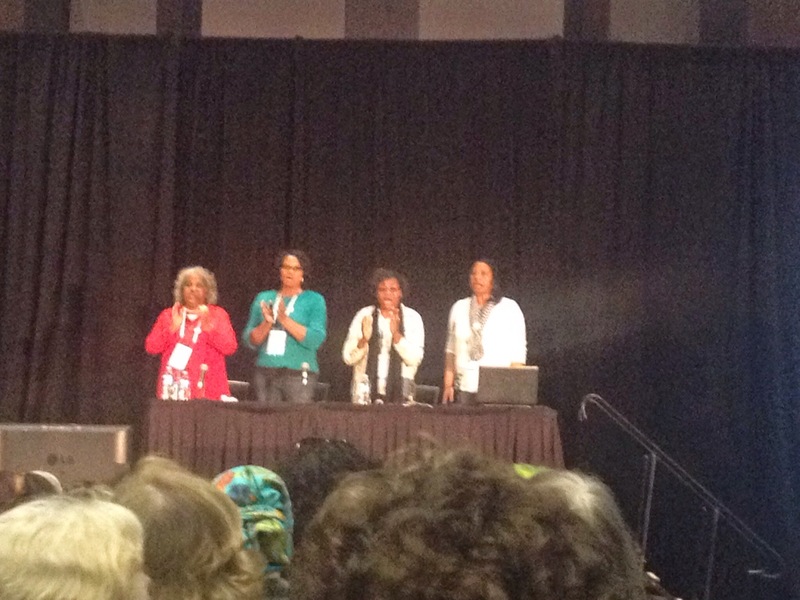 When these lovely ladies weren't talking about their upbringings and families or their quilts, they were treating us to some beautiful gospel singing. As I'm English, this is not my culture or history, but I was moved by the emotion and high esteem the audience held for Gee's Bend. 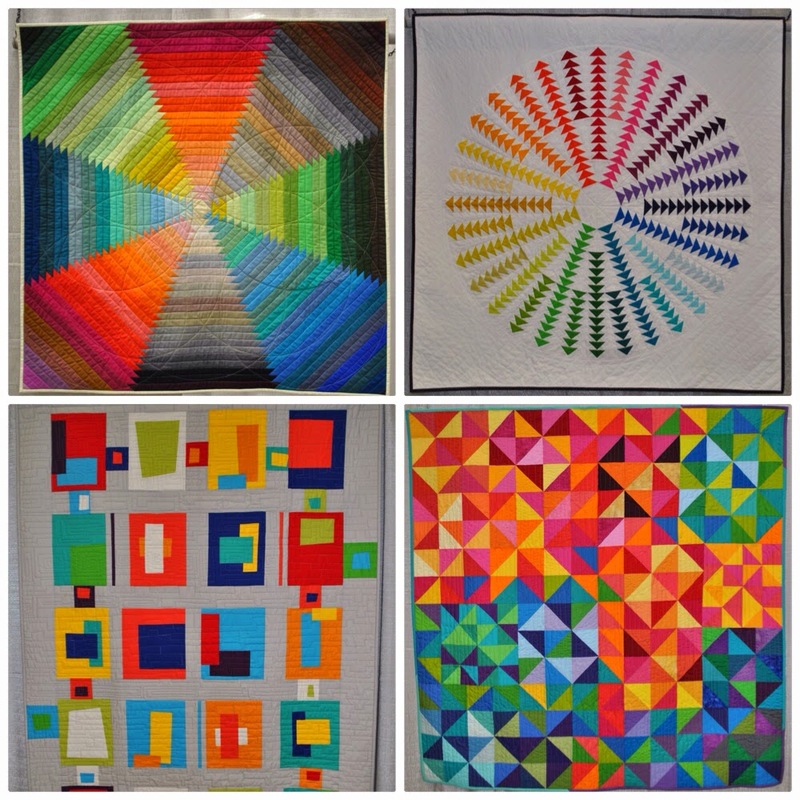 I have included a couple of their quilts below.